The 11th season of controversial reality TV show Bigg Boss has been beneficiary for some people or not it has not revealed yet, but there is one contestant who surely has got a super benefit of this show. 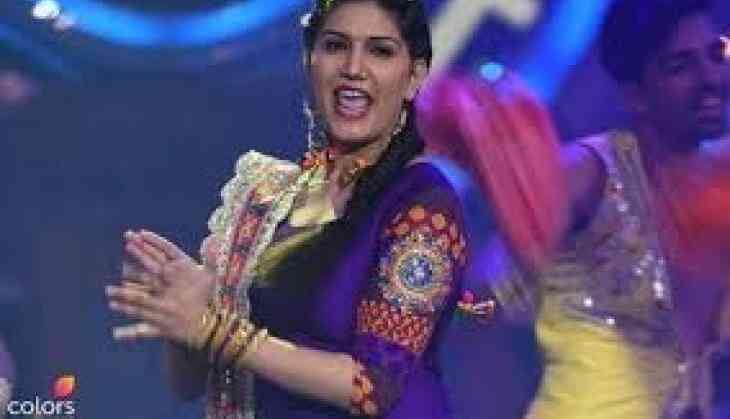 Bigg Boss 11 ex-contestant and dancer Sapna Choudhary has got a sure shot benefit of this show. After Bigg Boss 11, Sapna's life has taken a U-Turn and soon the famous dancer is going to be seen in a Bollywood film Naanu Ki Jaanu and that too with a Bollywood star. Sapna has starred opposite with Bollywood actor Abhay Deol in this film and that is slated to hit the screens in 2018. The interesting thing is that this film is a romantic-comedy drama. Sapna is playing an interesting character in the film and details of the character has not revealed yet. Recently some pictures of Sapna and Abhay have got viral on social media. Now, this is something surely big for the regional star that she has got a chance to work with famous and popular actors in Bollywood. Well, this is to notice that when choreographer-filmmaker Remo D'Souza came to promote their film Race 3 in the Salman Khan's show Bigg Boss, he also promised Sapna that he will work with her surely. According to the sources, Sapna can be seen doing any dance number in Salman Khan's upcoming movie Race 3 that is all set to releases on Eid 2018.